Win a Free Taco Buffet for 30 People! Do you love Tacos as much as we do? Prove it! 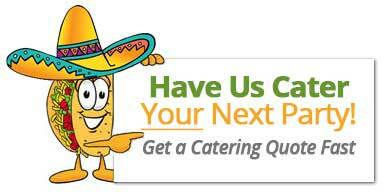 Sign up for a chance to WIN a FREE Taco Buffet for up to 30 people catered by Sacramento’s Best Taco Catering! We will setup our authentic Mexican Street Taco buffet for you and 30 of your closest friends and family for an all you can eat taco feast! Know someone who loves tacos? Share this link with hashtag #ILOVEFREETACOS. ENTER TO WIN FREE TACOS! Win a FREE Taco Buffet for You and 30 Friends!